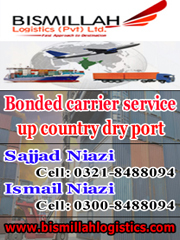 KARACHI: A customs appellate bench of High Court of Sindh (SHC) comprising Justice Aqeel Ahmed Abbasi and Justice Zulfiqar Ahmed Khan on Friday dismissed a constitution petition filed by M/s K-ELECTRIC after withdrawal of Suit from Single Judge of High Court of Sindh and avoided to pay custom duty since 1996-1997. K-Electric had filed Suit bearing No. 1002/2014 on 20.06.2014 and sought restraining order dated 20.06.2014 passed by the learned single judge against the outstanding recovery amounting of Rs. 321.852 million. 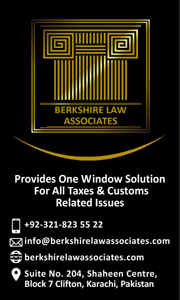 Subsequently, the Honorable Supreme Court in identical other cases laid down the law in the case of Searle IV Solution (Pvt) Ltd and others v/s Federation of Pakistan & others (2018 SCMR 1444) held that the “Suits, which are already pending or shall be filed in future, must only be continued/entertained on the condition that a minimum of 50% of the tax calculated by the tax authorities is deposited with the authorities.” In light of Judgment passed by the Honourable Supreme Court in a case reported as Searle IV Solution (Pvt) Ltd and others v/s Federation of Pakistan & others (2018 SCMR 1444), learned Counsel under instructions withdraw the Suit. K-Electric approached this Hon’ble Court with concealment of facts and false statements. Admittedly the petitioner has acquired the assets and liabilities of the KESC through the agreement with the (i.e. WAPDA). The matter of payment of legitimate revenue of Rs.321.733 Million without surcharge, is part and parcel of the said agreements. The facts and circumstances of the case are proving that both the parties of the Agreement have undertaken before the respondent No.3 and 4 that the long outstanding payment, leviable on the assets, acquired by the petitioner, shall be paid if the concerned parties to the agreement failed to provide “Waiver” Certificate within the stipulated period. It is confirmed from the facts and circumstances of the case, that the ECC has not taken up this matter for any consideration, that is why, the parties of the Implementation agreement, obtained advise from the Ministry of Law, Justice and Human Rights. The Ministry / Division vide its O.M. NO. 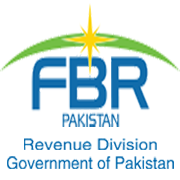 F-1(22) / 2014 –Law-II dated 29.04.2014, has categorically stated to the parties to the Agreement to comply to conditions of the Implementation agreement and either get the waiver from the FBR / Respondent No.3 or make the payment to the Customs / Respondent No.4. 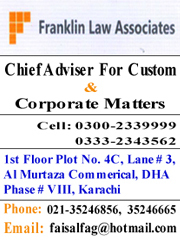 The FBR / Respondent No.3 has refused to waive the outstanding dues, vide letter dated 13.06.2013 read with the O.M. C.No.10(9)L&P/2001 dated 20.01.2010 and directed the answering respondent to recover the outstanding dues in accordance with law. Khalid Rajpar Advocate for Custom department arguments (MCC-WEST) after lengthy, stalwart, coupled with number of hearings conducted in the Petition, today lastly Appellate Bench Honorable High Court after giving options to Petitioner, dismissed petition of K-Electric, issued directions to K-ELECTRIC to pay outstanding amount ofRs. 321.852 million, to the department (MCC WEST) within period of 15 days and also passed instructions to department incase of failure of payment, act as per law and initiate recovery proceedings. It is sagacious to mention here that with principal outstanding amount with surcharge it becomes Rs. 50 Billion approximately to be recoverable from K-ELECTRIC. 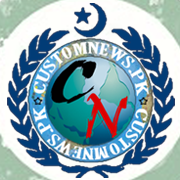 Tagged custom duties, dismisses, High Court of Sindh, K-electric, KESC, M/s K-ELECTRIC, petition, Supreme Court.